Herbal trees and shrubs really stand out as being easy to grow once they are established and they make useful additions around your yard or homestead. Of course, trees and shrubs do require more planning to incorporate into your home landscape and they need more space than other types of herbs, but they are worth making room for if you can! Elder, linden, witch hazel, hawthorn, and cramp bark are my top five picks if you are new to growing herbal trees and shrubs. Read on to learn more about growing them at home! 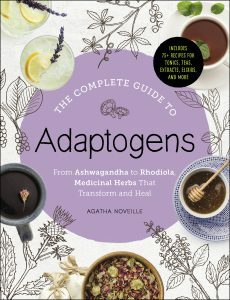 The traditional variety in European herbalism is Sambucus nigra, but there are native varieties (S. canadensis) that can be used just as well. S. nigra grows as large as a tree, while S. canadensis is more shrubby. Elder likes to keep its feet wet and prefers to grow in ditches or at the edges of water, but I’ve also seen it thrive in areas with a very high water table even if the soil seems a bit dry in the summer. It likes some shade so prefers growing at the edges of fields or beside taller trees. Elder actually grows very easily from cuttings, so if you have an elder nearby and permission to harvest a little, it’s easy to take a small piece and grow your own. A full sized tree (80+ feet tall), you will need lots of room to grow linden, but it makes a beautiful landscape specimen. It likes moist but well drained soil, and can handle partial shade. Although there is an American linden, (T. Americana), the European variety is the most commonly used variety for making linden flower tea and herbal preparations and is often used as a landscape tree in America. Bees and butterflies love the flowers! University of Florida has a fact sheet about linden and Missouri Botanical Garden has some good information, too. This herb can become large – up to 30 feet tall and wide – and as it’s name suggests it does have thorns. It was traditionally used to make hedges. The seeds can be a little tricky to start because they can take up to two years in the right conditions to germinate. If you want to grow a hawthorn it may be better to start with a seedling. They aren’t picky about soil and can be grown in sun or part shade. Ornamental varieties are common, but may or may not have the herbal characteristics found in the originals. It usually bears a heavy crop of berries every fall that are harvested after first frost (for best flavor). Here’s a quick guide to growing hawthorn. This small tree or shrub bears showy blossoms that are a beautiful feature plant in a home landscape. This herb doesn’t do well in dry soils. Its natural habitat is in woodland and forest edges, so it does alright with a little shade. The kind typically for sale in herb shops is the European variety, but there is variety that is native to the US (V. opulus var americanum). Several native vibunums have ethnobotanical uses as well. Learn more about crampbark in this article at Herbs with Rosalee and this one by herbalist Richard Whelan. I saved one of my favorites for last! 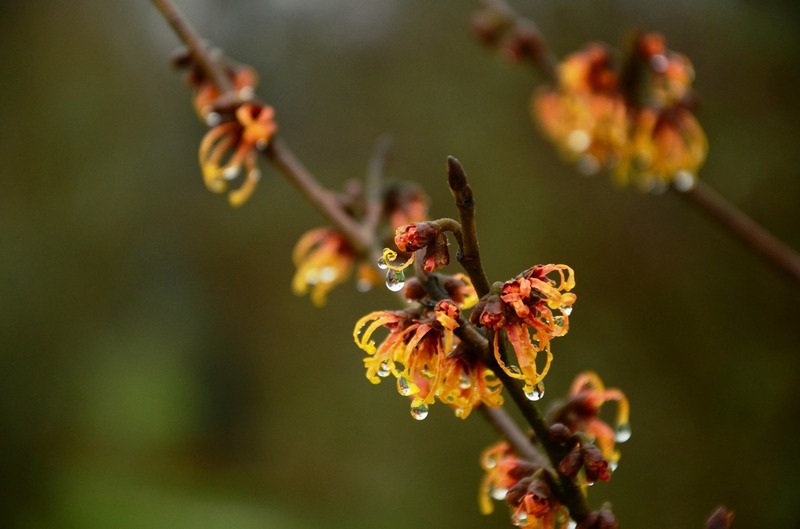 Witch hazel is a medium sized shrub that gets around 15 feet tall, but what’s really lovely about it is the unusual flowers that bloom in late winter before anything else – and they are fragrant! Like most of the other plants on today’s list it does fine in either full sun or part shade and likes the soil to be moist but well drained. You can read more about this enchanting plant here. 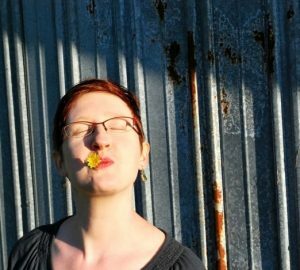 Did you know that there are probably trees with herbal uses all around you? My articles a February Tree Walk and The Giving Trees talk about trees that you might be able to find in your own backyard or walk through your neighborhood! Winter is actually one of my favorite times to get better acquainted with trees because it allows things like bark textures, growing habits, and bud shapes to come into sharp focus and add a deeper level of knowledge about the tree than simply being able to identify the leaves. If you live in Georgia, a trip to the Myrtle Hill Cemetery in Rome during February is a great idea. There are many different trees- including ginkgo, juniper, and tulip poplar- that are clearly marked with tags so you can spend time getting familiar with what they look like. For your mission today, try to make time in the coming week to explore your neighborhood, a local botanical garden, or other place where you can observe trees. Pick two or three trees that you hope to find and research their characteristics online. Plan to take along your camera or snap pics with your phone when you go so you can compare your finds with a field guide back home. What happened to Day 40? I have the first 39 but can not seem to find 40. h and by the way I have enjoyed your lessons much more than the ones over at the Herbal Academy. Your have far more information in which o learn from. Hi Sherry, here’s the link to Day 40. Thanks so much for letting me know you enjoyed the Challenge! It was so much fun to plan and share with everyone. Hi Alan! I hope you enjoyed the article. 🙂 For some reason your comment is showing up blank. You are welcome to re-post or drop me a line via email. Just hop over to this page and use the contact form.